We are an established contracting company located in Hampton Roads, Virginia, providing a full range of parking lot maintenance and repair services. We are a locally owned and licensed Class A Contractor located in Hampton Roads, Virginia. We provide maintenance and construction service to national retail facilities, many military and government installations, homeowner associations, national multi-chain fast food restaurants, churches and small businesses. We are determined to finish projects safely and on time, and to deliver high-quality results to the owner. We have the equipment needed to handle all aspects of parking lot repair, improvement, and maintenance. 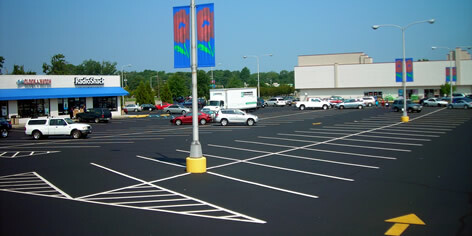 Let us help protect your investment by increasing the life of your parking facilities.